The old-testament Bible quote “omnia tempus habent” – everything has its time – is still true. The inaugural Noble Straight Egyptian Breeders Festival met many people’s desire for a special kind of presentation for their horses, perfectly in step with the former Egyptian Event’s in Germany in the 1980’s. Following the Cambridge dictionary the adjective “noble” means causing admiration because of a particular appearance or quality. 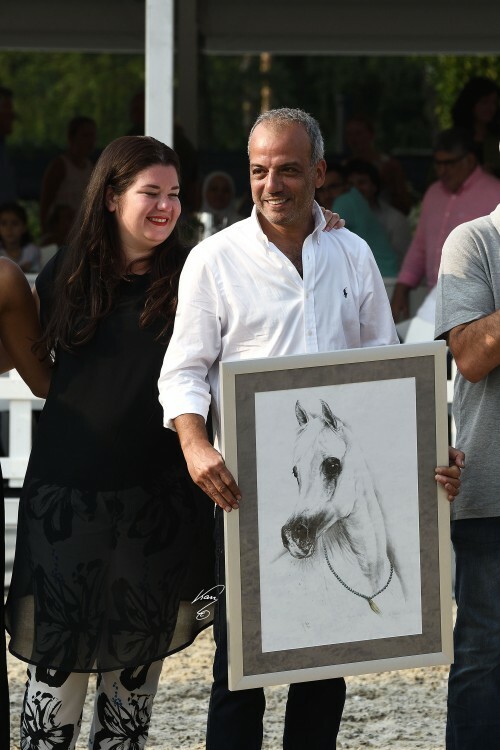 Without question, Mahmoud Alanzarouti, host of the Noble Straight Egyptian Breeders Festival, was not only committed to this goal but hold true to it until the last of the 150 international guests left the festival site at Sham Stables in Lochem, Netherlands. The idea is not unique or new though several attempts failed in the past. With Mahmoud Alanzarouti and an experienced team it seemed possible to realize a “different kind” of event. 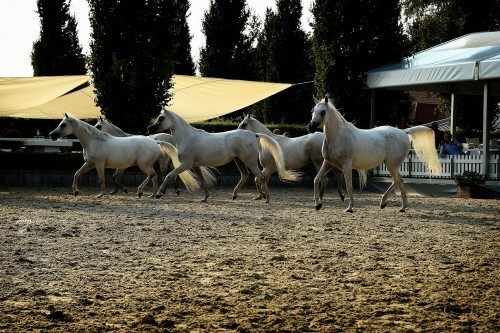 Nevertheless the idea of the Noble Straight Egyptian Breeders Festival did not found a broad approval in the beginning. 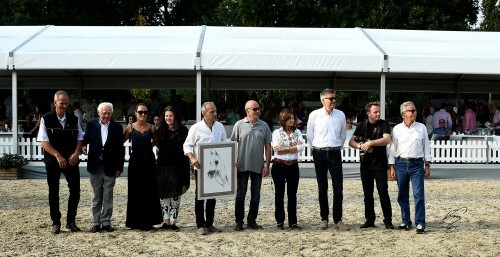 However, a board of well-known breeders actively engaged with the vision and strategy was found in Hans Nagel, Cornelia Tauschke, Mahmoud Anzarouti, Michael Ponnath, Achim Dirnhofer, Francesco Santoro, and Pierre Groenen. Not only the globally known farms but also smaller breeders send horses: Al Assil Arabians, Al Ilaf Stud, Al Jabal Arabians, Al Qusar Arabians, Al Ryah Arabians, Birkhof Stud, Egyptian Arabians, El Thayeba Arabians, Nagels Katharinenhof, Nedschd Arab, Ponnath Arabians, Sham Stables, Pabst family, and Tameri Arabians. The state stud farm Marbach complemented the presentation with a performance under saddle. Expertly moderated by Klaus Beste international guests from Europe, the Middle East, the USA and Australia enjoyed a relaxed day with noble horses show in an exclusive setting. We want to say thank you to Mahmoud Alanzarouti for the cooperation with Arabian Horse Global Network and photographer Jan Kan.